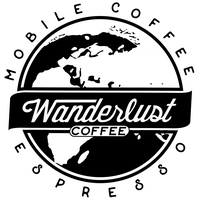 We are looking to sell 1 out of 3 of our espresso trucks (coffee shop on wheels) to open a new stationary location. We are willing to offer a barista training crash course to the right buyer with the sale of the truck. Not to be sold in or near Austin, TX or surrounding areas as we will continue to run our other trucks. Catering trucks delivering handcrafted specialty coffee! We currently run a successful mobile coffee and espresso business in Austin, TX with a fleet of these coffee food trucks as well as office building cafes and mobile kiosks.